Ulawun (also locally known as the "father" //commemt: Bamus being the "son") is a symmetrical large stratovolcano on New Britain Island. It rises majestically above the north coast of New Britain across a low saddle NE of Bamus volcano, the South Son. Ulawun is one Papua New Guinea's most active and most dangerous volcanoes. 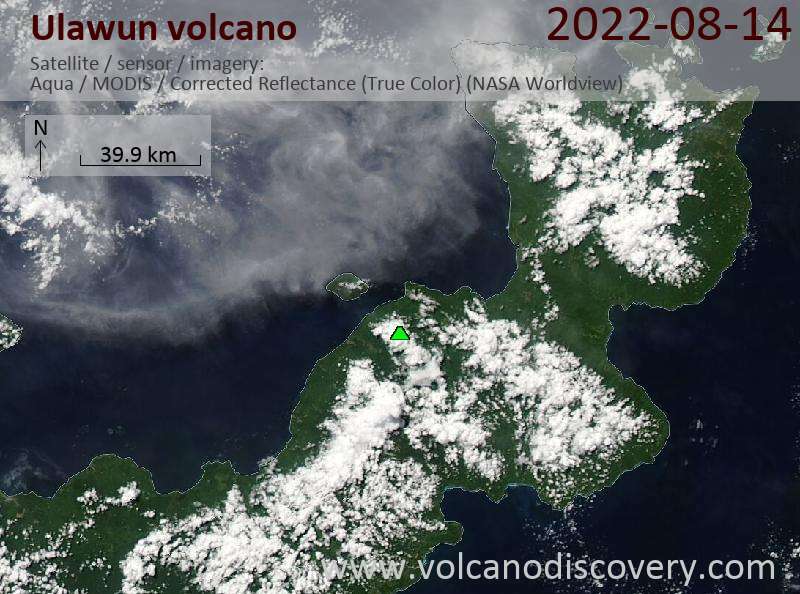 Rising to 2334 m, it is also the highest of the 1000 km long chain of the Bismarck volcanic arc which stretches from Rabaul volcano in the East to Wewak in the west and contains no less than 21 active volcanoes. Historical records from Ulawun reach relatively far back. The historic account of an eruption of Ulawun volcano was by the English discoverer William Dampier (1651-1715) in 1700. However, lack of activity or further reports by explorers led to a large gap of informatio until, 178 years later, the Australian businessman Wilfred Powell reported activity in 1878. The largest eruptions in historic times were in 1915, 1970, and 1980. The eruption in 1915 deposited 10 cm of ash in Toriu, 50 km northeast of the volcano. The eruption of 1970 produced nuees ardentes (pyroclastic flows) and lava flows. A major eruption in 1980 produced an eruption column rising to 60,000 ft (ca. 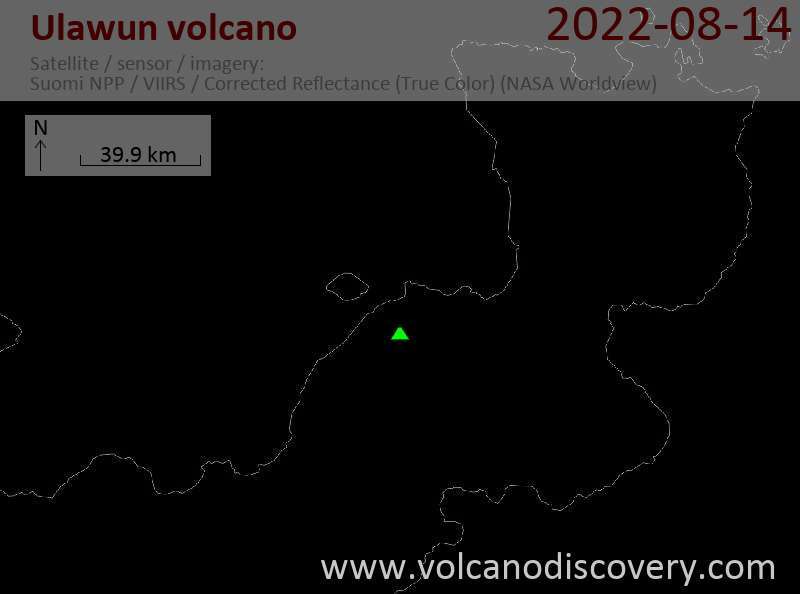 20 km) and produced pyroclastic flows which swept all flanks of the volcano and devastated an area of 20 square km. The last larger eruptions devastated the flanks of Ulawun, produced large andesitic lava flows and greatly modified the summit crater. Typical smaller eruptions from Ulawun range from strombolian-type explosions to lava dome growth with associated small ash explosions and small nuées ardentes.